While this is just after the holiday season and the start of the new year, as workers get closer to the end of January, the weather can start to get them down. Perking them up by celebrating National Compliment Day on the 24th or Have Fun at Work Day on the 25th can go a long way toward getting over those winter blues. The new year has begun and we kick off the month with Motivation & Inspiration Day on January 2nd. When everyone is back to work play some trivia at work to get everyone's minds in gear. But our favorite workplace holidays are "Show & Tell at Work Day" on January 8th and International Fun at Work Day on January 28th. 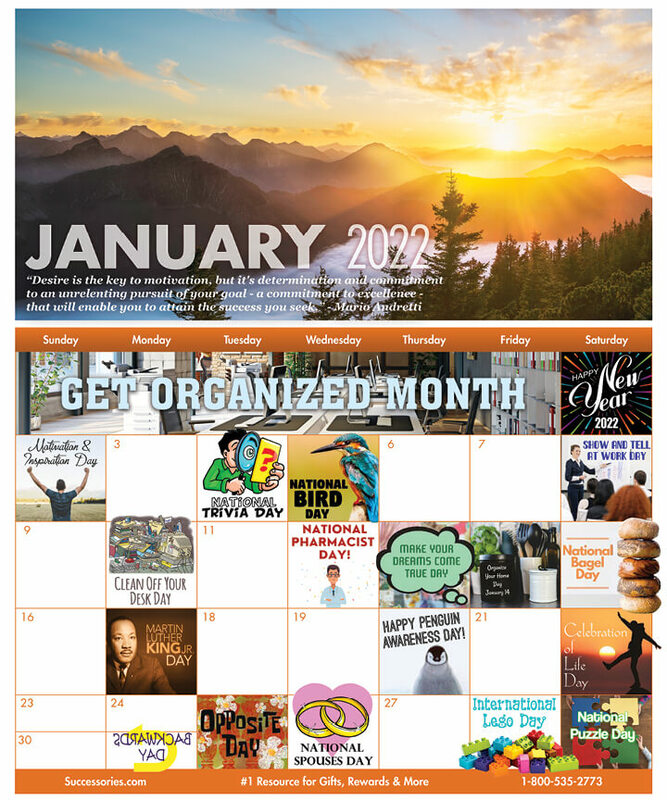 January is creativity month, so to celebrate all month long, you can get fun employee gifts like motivational rubix cubes, mental-blocks folding puzzles, and more desk accessories. It's also worth mentioning that January is National Thank You Month, so there might be no better time to remind workers that their continuing efforts are always appreciated. I ordered these mental blocks for my team and they love them! They are very well constructed with beautiful pictures and perfect statements for encouragement and inspiration.I would absolutely recommend to others! We gave these as gifts during our quarterly team meeting. They are fun! They were very well recieved. We have now purchased extra "people" clips and hand those out for a job well done or when someone goes the extra mile. My staff loves competing to get extra people on their holder! Fun and goofy...just what I wanted. Leaders can be small but Howl very loud! Also sent this to my neice who is a 3 sport athlete entering High School.She has great athletic talent and loves our (Real Rescued Husky) so she loves the gift and placed it in a prominent place on her desk and sent a picture along with the Excellence Eagle motivational plaque.She is shy but has all the qualities of a great team leader, teamwork, skill & unselfish.This is a great little reminder to strive to lead! Love thes Pens... I work in sales and a little motivation goes a long way.. These are great to add a little flair to your desk or a small token of recognition to an employee.